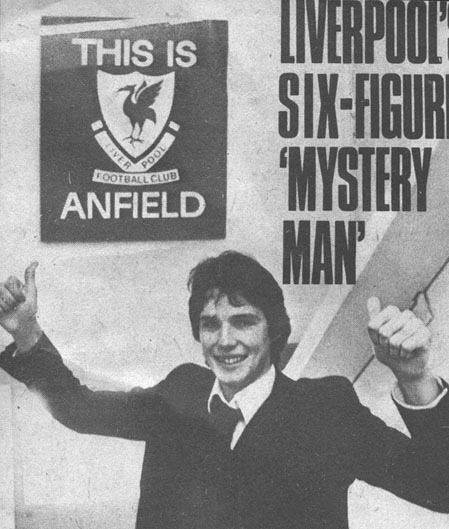 Unknown Scot Alan Hansen - LFChistory - Stats galore for Liverpool FC! Now we start a group of articles focusing on the arrival of several big names in Liverpool history who succeeded or failed at Liverpool. Once upon a time they were new signings and unproven in the eyes of the fans and the media and it's interesting to see how they were portrayed in the media at the time. From Shoot! in May 1977. Liverpool very rarely make mistakes in the transfer market. People were heard to say: "Kevin who?" when they signed Kevin Keegan from Scunthorpe for a paltry fee. Ray Clemence wasn't exactly a name on everyone's lips when he, too, joined up at Anfield from the same club. 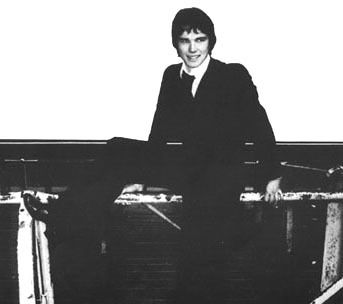 Now Liverpool have swooped into the market once again and the unknown this time is young Scot Alan Hansen, who cost £100,000 from Partick Thistle. Hansen is in the same mould as other Liverpool central defenders Emlyn Hughes, Phil Thompson and Tommy Smith. The talented Hansen has the ability to surge into attack and set up moves and finish them off. He is aware that he will not walk straight into the first team and says: "As far as I am concerned this could not have been a better move. They are the best team in the business and they have proved that conclusively over the years. It's going to be funny going down there and mixing with all those great players. At Firhill I was looked on as one of the stars because I had won international recognition. However I realise I am about to start my soccer education. I'm going to be put through the mill. Liverpool will want to groom me before I even get close to the first team!" The £100,000 fee for Hansen will look like peanuts whenever the Scot reaches his full potential. Bolton made a desperate bid of £80,000 just before the transfer deadline in March, but manager Bertie Auld had no hesitation in turning it down flat. Southampton and Newcastle were also said to be interested, but there was no way Hansen was going to be allowed to leave Firhill for anything under £100,000. Liverpool watched him on several occasions and agreed with Auld's price. At one time during the season it seemed every club in Britain was chasing Hansen. Obviously this hindered the 21-year-old's progress and Auld stepped in to tell interested clubs to either put their offers in writing or shut up! Things settled down again and so did Hansen, whose brother John also plays for Thistle. Hansen admits he prefers playing at the back instead of midfield, but Liverpool will obviously work on his versatility. Hansen, though, certainly knows how to score goals when the break is on. Rangers found that to their cost when they lost a remarkable League match 4-3 at Firhill last season. The youngster left goalkeeper Stewart Kennedy totally helpless with a scorching drive for the equaliser at 3-3 and then, near the end, he showed the calm of a veteran when Thistle were awarded a penalty and he stepped up to make no mistake with a perfect effort from the spot. Bolton, too, were impressed by him during their Anglo-Scottish Cup-ties. He was superb at the back in the first-leg which ended in a 0-0 draw and at Firhill he joined in with the attack to head in the only goal of the game. Hansen faces a tough battle for a first team spot with the established Anfield back-four men. But whoever he replaces, Liverpool fans can look forward with confidence to seeing one of the soccer's most talented young men in action. The big occasion brings out the best in Hansen and he says: "I'm really looking forward to life as a Liverpool player and I'm determined not to let them down."